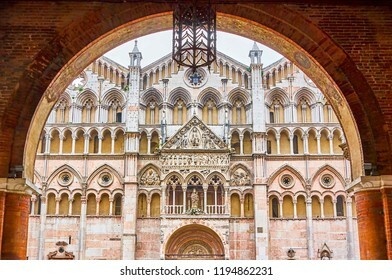 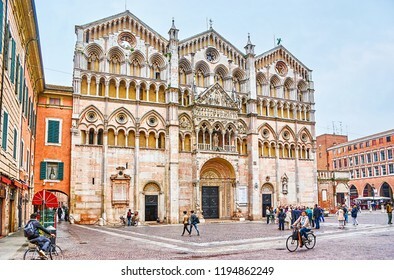 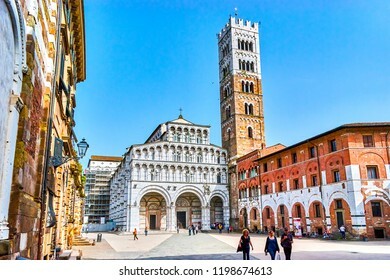 28,344 stock photos, vectors, and illustrations are available royalty-free. 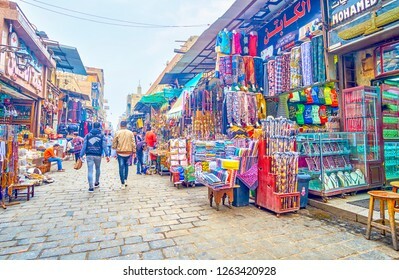 CAIRO, EGYPT - DECEMBER 20, 2017: Two arab women make shopping in one of numerous shopping streets in Khan El-Khalili Market, on December 20 in Cairo. 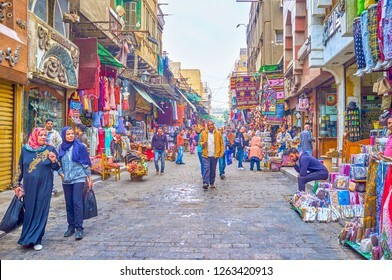 CAIRO, EGYPT - DECEMBER 20, 2017: Khan EL-Khalili market occupies a huge territory in old Cairo and neighbors with numerous cafes and restaurants, on December 20 in Cairo. 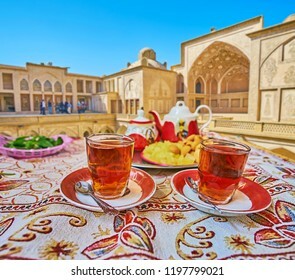 Traditional persian restaurant offers tasty tea with local sweets on the tray - candies of rock sugar and almond pancakes, Kashan, Iran. 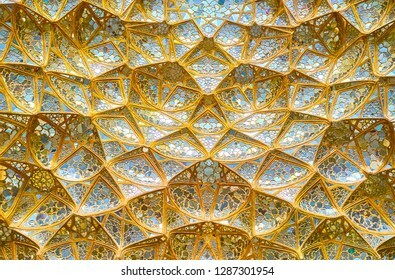 The close-up of the muqarnas (honeycomb) arch of the West portal of Jameh mosque, the brick cells are covered with intricate mosaic patterns, Isfahan, Iran. 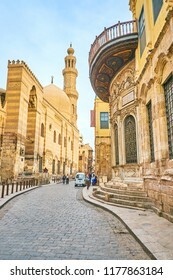 The view from the outer wall of Saladin Citadel on the Islamic Cairo with hazy residential quarters, Al Rifai' and Sultan Hassan Mosques on sunset, Egypt. 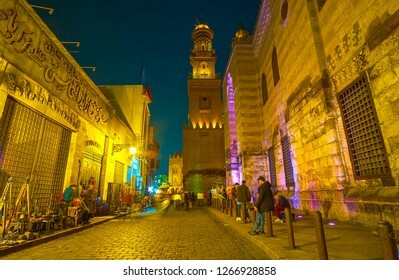 CAIRO, EGYPT - DECEMBER 23, 2017: The Talaat Harb square is one of the most busiest places in modern Cairo and is the center of night life of the city, on December 23 in Cairo. 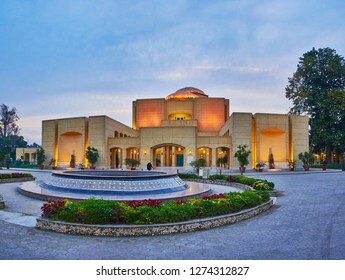 The Opera House of National Cultural Center is one of the notable modern landmarks of Gezira Island and Cairo, Egypt. 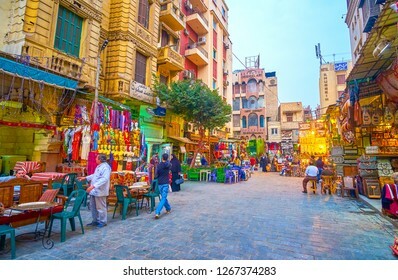 The view on the riverside quarters of Gezira Island with casinos, gardens, luxury hotels and Cairo Tower on background, Egypt. 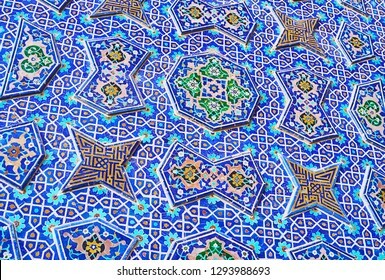 ISFAHAN, IRAN - OCTOBER 21, 2017: The narrow richly decorated vestibule of Sheikh Lotfollah mosque, decorated with traditional Persian tiling in bright blue gamma, on October 21 in Isfahan. 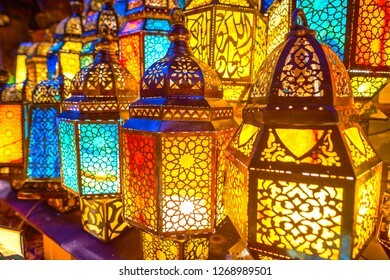 Iconic Stanley Bridge boasts Islamic-styled towers, old-fashioned streetlights, this place is perfect for evening walks and opens great views on sunset sky over Mediterranean sea, Alexandria, Egypt. 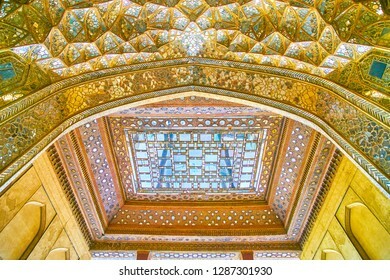 CAIRO, EGYPT - DECEMBER 19, 2017:The fountain at the Cairo Opera House, located on Gezira Island on territory of National Cultural Centre, gifted by nation of Japan to Egypt, on December19 in Cairo. 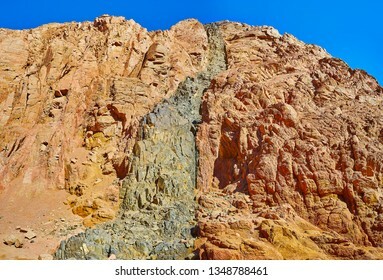 The steep rocky slope of the mountain in Small Colored canyon with a view on black inclusion in bright red rock formation, Sinai, Egypt. 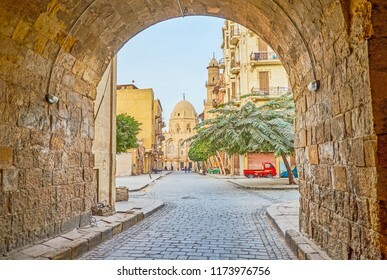 The Stanley bridge is the main landmark of the same named neighborhood, famous for its scenic sand beach, especially beautiful on sunset, Alexandria, Egypt. 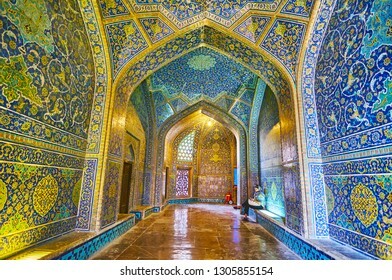 ISFAHAN, IRAN - OCTOBER 21, 2017: Panorama with three of four portals (iwans) of stunning Seyed Mosque, decorated with rich tile ornaments, Persian screens and arcades, on October 21 in Isfahan. 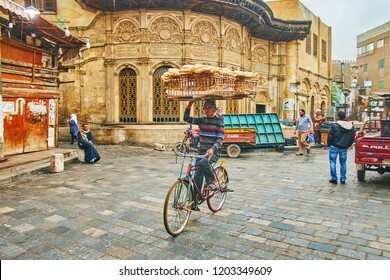 CAIRO, EGYPT - DECEMBER 21, 2017: Traditional bread delivery in old town, cyclist with large wooden basket rides next to Sabil wa Kuttab of Tusun Pasha in Al-Muizz street, on December 21 in Cairo. 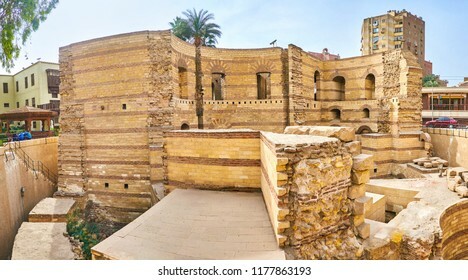 CAIRO, EGYPT - DECEMBER 19, 2017: The winter fog over Rhoda and Gezira Islands of Greater Cairo, surrounded by waters of Nile river, on December 19 in Cairo. 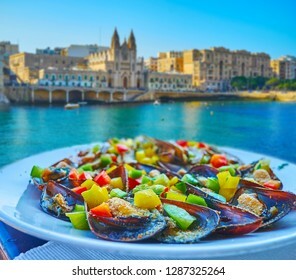 The fresh seafood is the perfect choice for lunch, restaurants at Balluta Bay offers fresh mussels with cheese, vegetables and fragrant herbs, with a view on Carmelite Church, St Julian's, Malta. 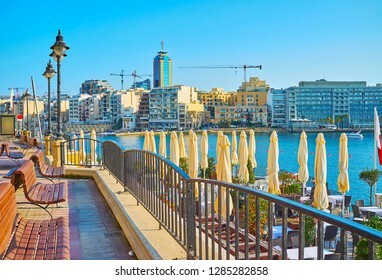 Seaside Tower road of St Julian's is nice place for the walk, relax on the bench, choose some nice coastal restaurant and enjoy the views of Balluta Bay, Malta. 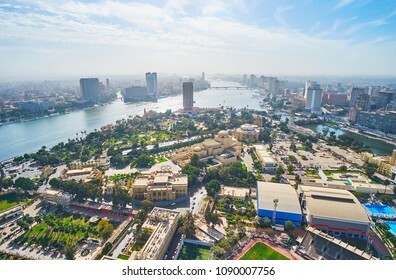 Aerial view of Gezira Island with Opera House and museums and the banks of Nile river with dense housing of Cairo and Giza, Egypt. 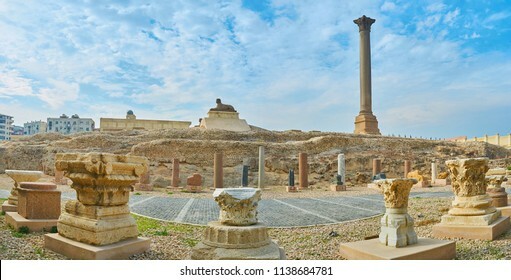 The great Pompey's Pillar with sphinx statue in front of it and ruins of ancient Serapeum Temple on territory of Amoud Al Sawari archaeological site, Alexandria, Egypt. 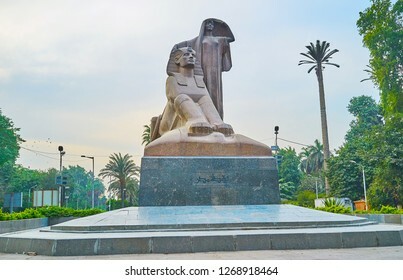 GIZA, EGYPT - DECEMBER 19, 2017: Impressive Nahdet Masr statue or Egypt's Awakening represents the peasant woman and Sphinx, surrounded by lush greenery of the garden, on December 19 in Giza. 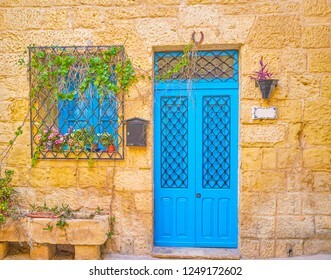 Sidi Bou Said is the scenic village, located on the hilltop and popular among tourists, visiting Tunisia. 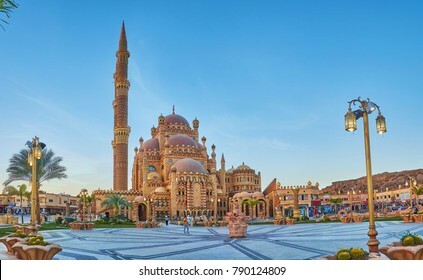 Sharm El Maya is one of the central districts of resort, that boasts scenic rocky landscape and beautiful beaches with palms and multiple sunshades, Sharm El Sheikh, Egypt. 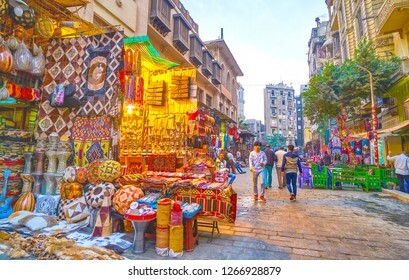 CAIRO, EGYPT - DECEMBER 24, 2017: The fast traffic on El Tahrir road, leading to the Qasr El Nil bridge, guarding with lions' sculprtures, on December 24 in Cairo. 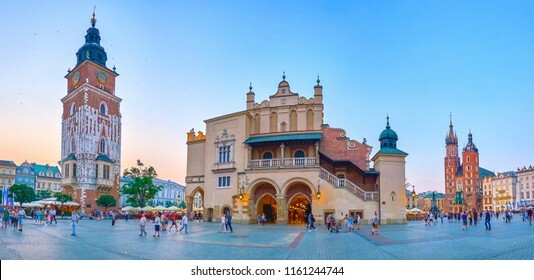 KRAKOW, POLAND - JUNE 11, 2018: The Plac Mariacki in Krakow is one of the most beautiful squares in Poland and is the best place to make evening promenade, on June 11 in Krakow. 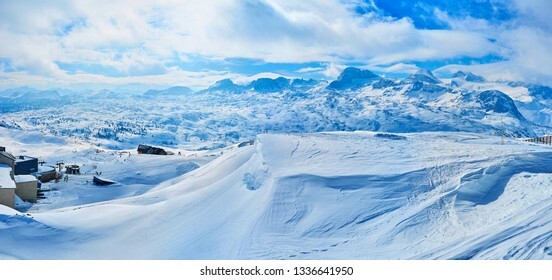 Dachstein Alps are perfect place to spend winter vacation, enjoying skiing, boarding, snowshoeing and other sports and extreme activities in outstanding resorts of Salzkammergut, Austria. 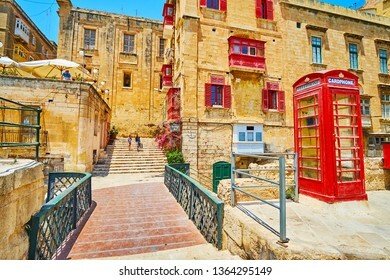 VALLETTA, MALTA - JUNE 19, 2018: The vintage British red telephone box a the tiny bridge, connecting old town and St Barbara Bastion, on June 19 in Valletta. 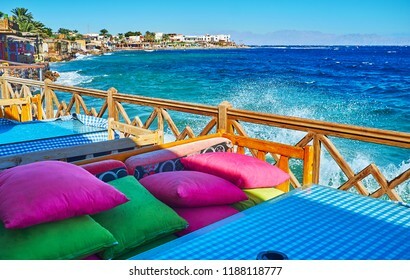 The stormy waves crash against the terrace of outdoor cafe in Dahab resort, Sinai, Egypt. 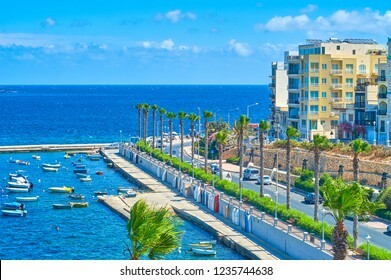 ALEXANDRIA, EGYPT - DECEMBER 17, 2017: Evening walk around Stanley beach, that becomes romantic place on sunset, Stanley bridge attracts tourists with nice viewpoints, on December 17 in Alexandria. 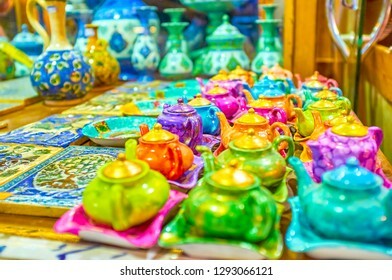 Enjoy traditional tea from the vintage teapot in scenic outdoor restaurant, located on the hilltop in Sidi Bou Said village, Tunisia. 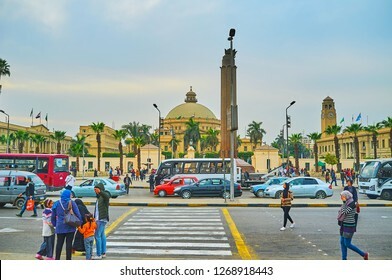 GIZA, EGYPT - DECEMBER 19, 2017: The busy bus station in front of the building of Faculty of Arts of Cairo University, on December 19 in Giza. 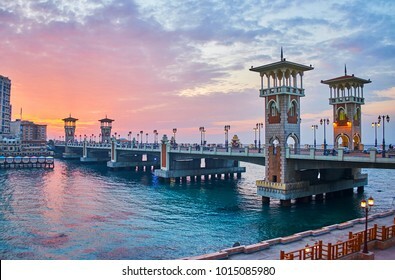 The outstanding Stanley bridge, considered to be one of the most remarkable city landmarks, especially beautiful on sunset, Alexandria, Egypt. 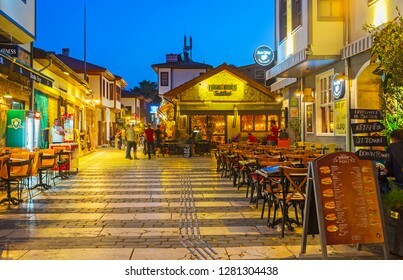 ANTALYA, TURKEY - MAY 9, 2017: Kaleici district is historic center of resort, here locate popular tourist restaurants, small family cafes, bars and pubs for the holidaymakers, on May 9 in Antalya. 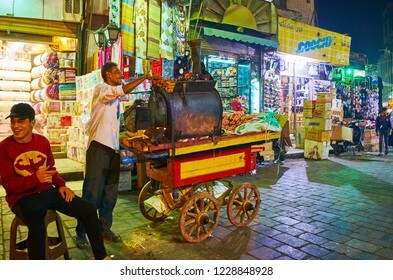 CAIRO, EGYPT - DECEMBER 21, 2017: The street seller of sweet potato cooks batata in oven, standing on his food cart in Al Muizz street of old Bazaar, on December 21 in Cairo. 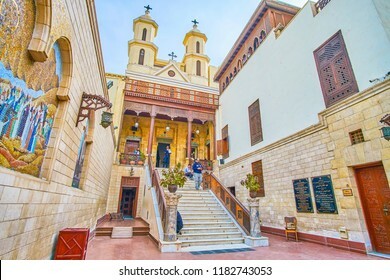 SHARM EL SHEIKH, EGYPT- DECEMBER 15, 2017: The scenic park with fountains and cactuses in pots in front of Sahaba mosque, located in Old Town, on December 15 in Sharm El Sheikh. 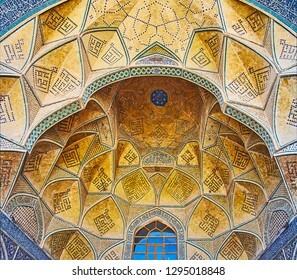 ISFAHAN, IRAN - OCTOBER 21, 2017: The ornate muqarnas semi-dome of the South portal (iwan) of Jameh mosque with fine brickwok and traditional Islamic patterns, on October 21 in Isfahan, Iran. 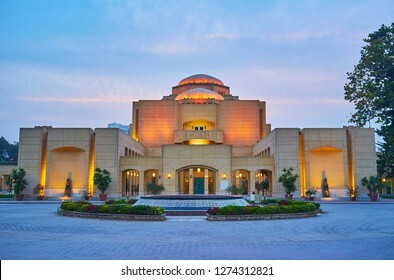 CAIRO, EGYPT - DECEMBER 19, 2017: The evening walk in garden of National Cultural Centre with a view on the Opera House in dimmed lights, Gezira Island, on December 19 in Cairo. 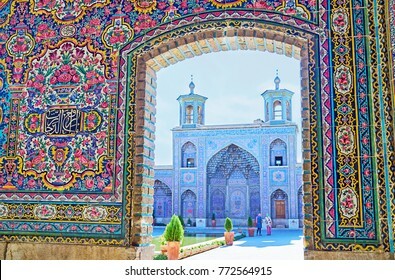 The view on the portal of Nasir Ol-Molk mosque with two small minarets and muqarnas decoration, Shiraz, Iran. 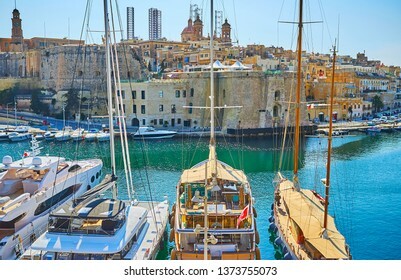 Panoramic view of Vittoriosa marina with luxury sail yachts and hilly Senglea city on the background, Birgu, Malta. 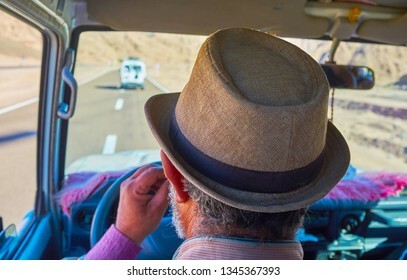 The senior Egyptian in straw hat drives the car along the desert road, Sinai, Egypt. 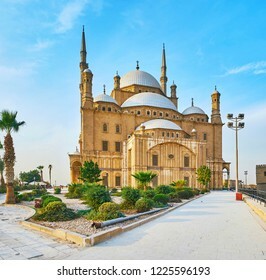 The stunning Alabaster (Muhammad Ali) Mosque of Saladin Citadel is surrounded by beautiful ornamental garden with trimmed coniferous bushes, small pines and tall palm trees, Cairo, Egypt. 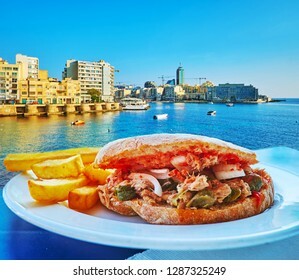 Enjoy delicious tuna sandwich with tomato, capers, sweet onion and French fries in outdoor cafe of Sliema, located at the Exiles Bay, Malta. 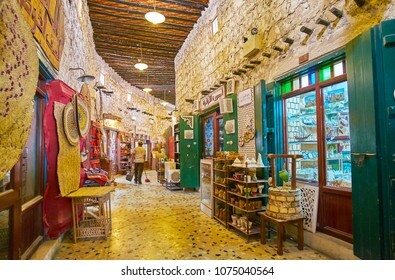 CAIRO, EGYPT - DECEMBER 20, 2017: The wide street with traditional Egyptian restaurants in Khan EL-Khalili Souq that alternate with souvenir and clothes shops, on December 20 in Cairo. 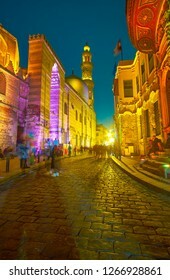 CAIRO, EGYPT - DECEMBER 20, 2017: After dusk Al-Muizz street wakings up, the building's illumination switches on and the groups of youth come, on December 20 in Cairo. 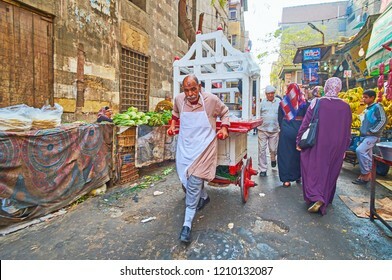 CAIRO, EGYPT - DECEMBER 21, 2017: The street food seller walks along Al Khayama street with his food cart, on December 21 in Cairo. 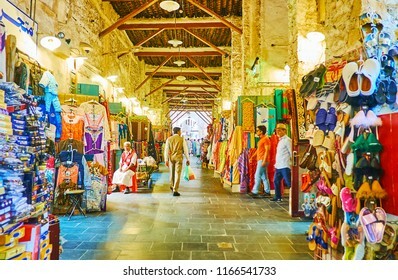 CAIRO, EGYPT - DECEMBER 20, 2017: Variety of different kinds of clothes, home furniture and jewelry stalls neighbors together in Khan El-Khalili Souq, on December 20 in Cairo. 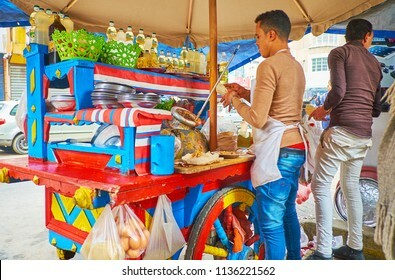 ALEXANDRIA, EGYPT - DECEMBER 18, 2017: The young cooks make popular Egyptian street food - tameya (falafel) in pita with eggs, vegetables and fool (beans), on December 18 in Alexandria. 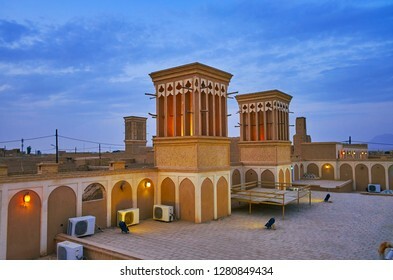 YAZD, IRAN - OCTOBER 18, 2017: The evening sky over the medieval badgirs (windcatchers) of Tehraniha (Fahadan) House - historic mansion, serving as hotel in old town, on October 18 in Yazd. 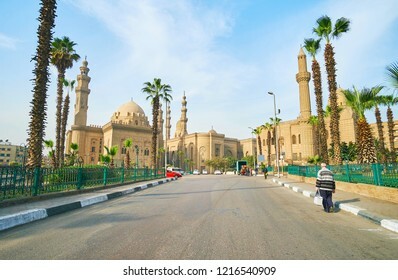 Walk along the green Sah El-Deen Square with a view on its beautiful landmarks - Sultan Hassan Mosque-Madrasa, Al Rifai' (Royal) Mosque and Al-Mahmoudia Mosque, Cairo, Egypt. 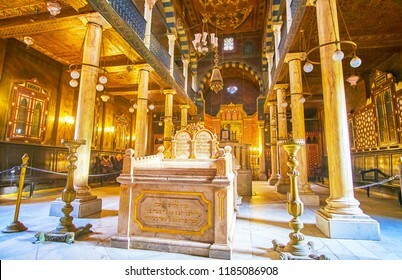 CAIRO, EGYPT - DECEMBER 23, 2017: Interior of Ben Ezra Synagogue is a mixture of ancient jew, coptic and arabic styles, that became a pearl of jewish medieval architecture, on December 23 in Cairo. 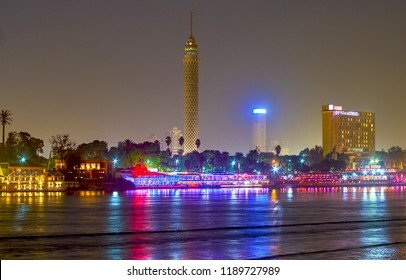 Panorama of wide Nile river with buildings of Cairo Downtown and Gezira Island on the banks, the Bridge of 6th of October is seen on the distance, Cairo, Egypt. 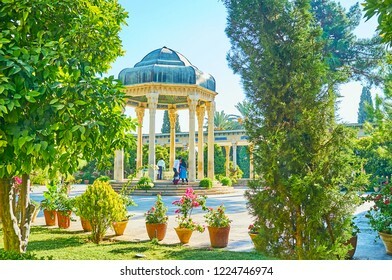 The site of Towers of Silence (Dakhma) is the famous historical and religious Zoroastrian complex, that were used for burial ceremonies, Yazd, Iran. 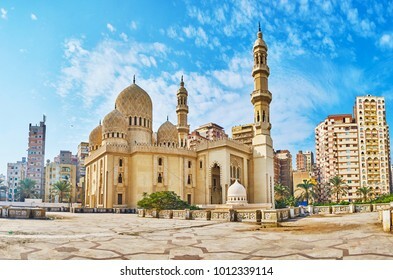 The contrast of the scenic Sidi Yaqut al-Arshi mosque, decorated with carved islamic patterns and the modern multistory living neighborhood, seen on background, Alexandria, Egypt. 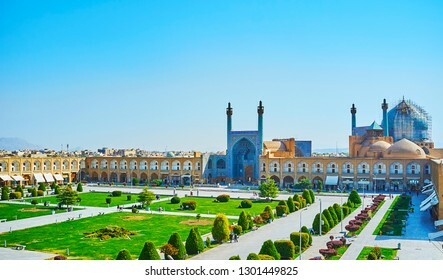 Historic ensemble of Naqsh-e Jahan Square with a view on azure tiling of Royal (Shah) Mosque, surrounded by long arched gallery of Qeysarie (Soltani, Grand) Bazaar, Isfahan, Iran. 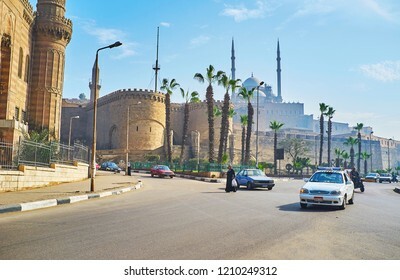 CAIRO, EGYPT - DECEMBER 21, 2017: The traffic on busy Salah El-Deen square with a view on medieval Saladin Citadel and Muhammad Ali mosque - iconic landmark of Islamic Cairo, on December 21 in Cairo. 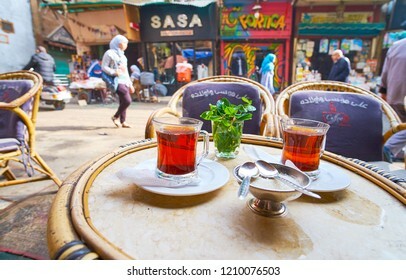 CAIRO, EGYPT - DECEMBER 21, 2017: Enjoy a glass of hot black tea, serving with fresh mint in outdoor teahouse, located in Al Khayama street, occupied with shops and stalls, on December 21 in Cairo. 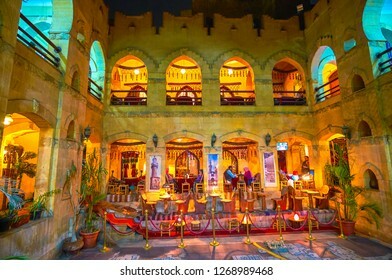 CAIRO, EGYPT - DECEMBER 20, 2017: The traditionally decorated restaurant in historical edifice in present Mu'izz Visitors Center, on December 20 in Cairo. 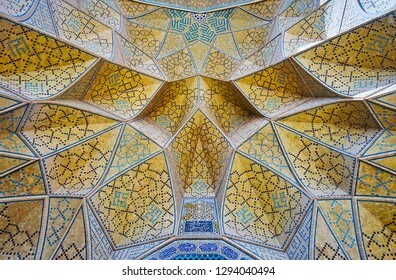 Details of the masterpiece tiling on wall of the South portal of Jameh Mosque, Islamic patterns neighbor with relief porcelain decor, Isfahan, Iran. 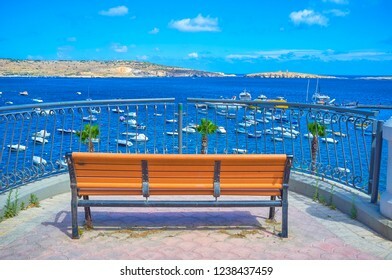 The old city wall of Birgu is perfect place to observe ychts in Vittoriosa marina and medieval fortifications of Senglea, such as St Michael and Sheer Bastions, Malta. 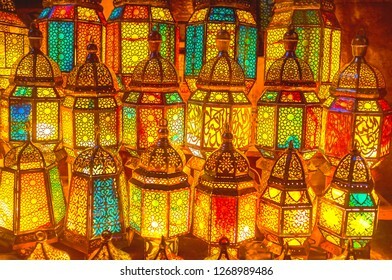 CAIRO, EGYPT - DECEMBER 20, 2017: The view on great medieval edifices on Al-Muizz street in bright night illumination, on December 20 in Cairo. 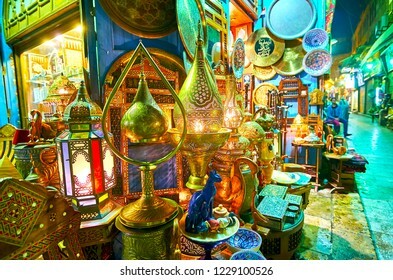 The wide range of Arabian lights, handmade metal lamps with scenic ornaments, stained-glass chandeliers and interesting souvenirs in store of Souk Khan El Khalili, Cairo, Egypt. 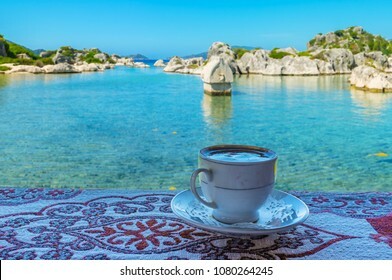 Enjoy refreshing Turkish coffee on the coast of Kekova Bay with a view on ancient Lycian ruins in water, Kalekoy, Turkey. 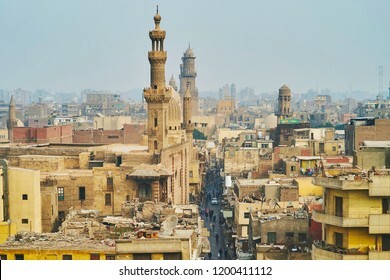 Aerial view of Al-Muizz street of Islamic Cairo with mosques, palaces and residential buildings from the minaret of Sultan Al-Ghuri Mosque-Madrasa, Cairo, Egypt. 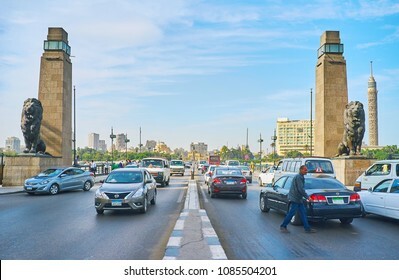 CAIRO, EGYPT - DECEMBER 24, 2017: The view from Corniche promenade on Qasr El Nil bridge across Nile river, connecting Downtown and Gesira Island, on December 24 in Cairo. 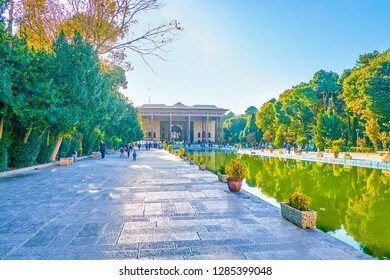 The scenic alcove of Hafez Tomb with carved stone columns and lush greenery of Mussala Gardens around it, Shiraz, Iran. 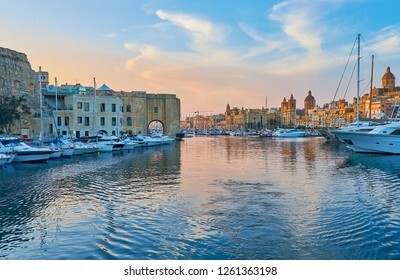 Observe the medieval cities of Senglea and Birgu, divided by waters of Vittoiosa marina, the shore of Birgu is lighted with last sunset rays, Malta. 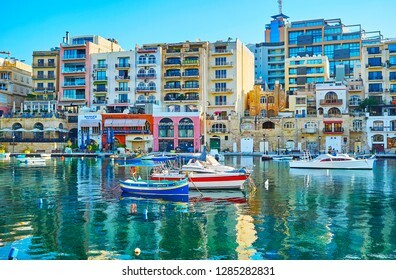 ST JULIANS, MALTA - JUNE 20, 2018: The colorful boats are moored in Spinola Bay harbour, surrounded by modern residential quarters, stores and tourist restaurants, on June 20 in St Julians. 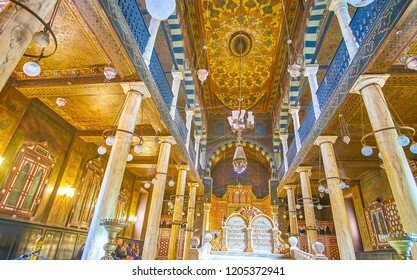 CAIRO, EGYPT - DECEMBER 23, 2017: The beautiful interior of Ben Ezra Synagogue in Coptic district is a pearl of Jew's architecture, on December 23 in Cairo. 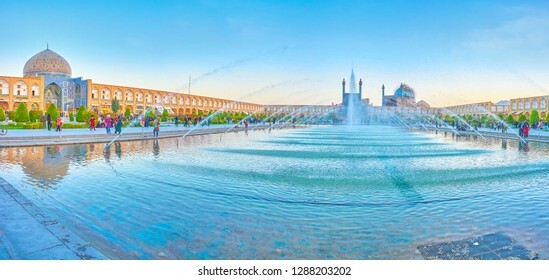 Panorama of Kursunlu waterfall with tiny islet, green precipice behind the falls, clear surface of the lake, Aksu, Turkey. 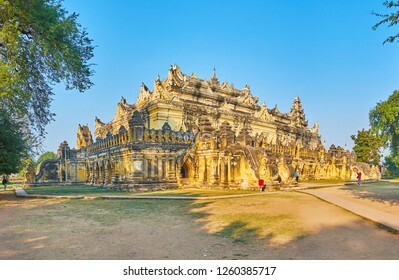 Maha Aungmye Bonzan Monastery (Mai Nu Oak Kyaung), also named the Brick Monastery is one of the most beautiful landmarks of Royal City, Ava (Inwa), Myanmar. 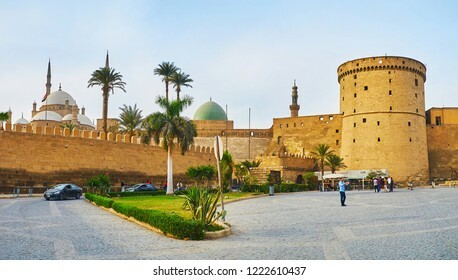 The Qaitbay Fort is the famous historic landmark and fine example of medieval architecture, Alexandria, Egypt. 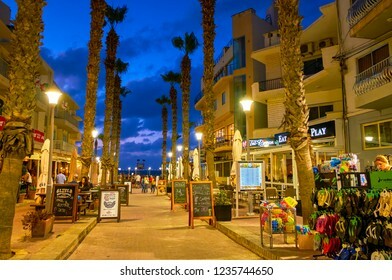 BUGIBBA, MALTA - JUNE 14, 2018: Evening Bay Square with a view on souvenir stalls, popular cafes, restaurants and palm alley along the shopping zone, on June 14 in Bugibba. 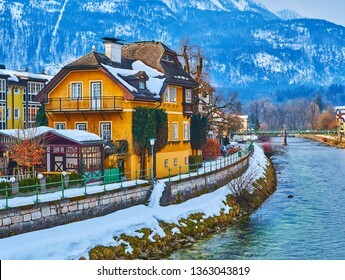 The old villa on the snowbound bank of Traun river with a slope of Mount Katrin on background, Bad Ischl, Salzkammergut, Austria.